The food scene is evolving in the Southern Dales & Craven area, we have exciting new locations, events and startups to try, the first of which is The Goat Gap Cafe. The Goat Gap Cafe is opening soon, on the site of the old Little Chef on the A65 on Newby Moor between Ingleton and Clapham. Lots of building work, landscaping and internal improvements amounting to a total rebuild have been progressing over the last few months with lots of local trades & craftsmen involved. The Courtyard Dairy, Settle is moving to Feizor! 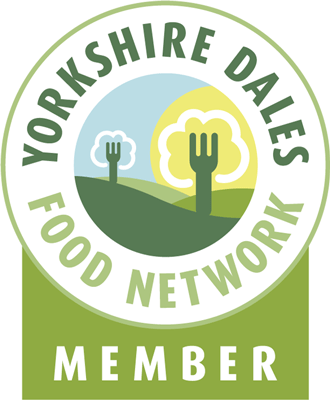 Yorkshire Dales Food Festival is moving from Skipton Auction to Heslaker Farm at Broughton. Salvo’s, Leeds’ longest running family-run restaurant and a personal favourite, has announced a £250,000 refurbishment this month. The investment will refresh the popular Headingley Italian first opened by Salvatore Dammone in 1976. The award-winning eatery now run by Mr Dammone’s sons John and Gip, will close on 21st February for 9 days. The biggest refurbishment in the venue’s history will include a new walnut interior and intimate lighting and the vibrant open kitchen will be home to a new Italian coal fired pizza oven. Looking forward to trying those pizza! The investment, which comes as the family celebrates the restaurant’s 40th anniversary, also includes a contemporary bar area serving a wide range of craft beers, great Italian wines and classic cocktails where guests will be welcome to relax before their meal or just for a drink and a bite from the new bar menu. Known as one of the most innovative Italian restaurants in the Yorkshire region, Salvo’s serve contemporary Italian food in an informal atmosphere, a simple formula which has kept thousands of customers coming back for more. The restaurant has been the only one listed consistently in The Good Food Guide since 1985 and holds an AA Rosette amongst a collection of national accolades. Salvo’s restaurant will be closed from 21st February until 2nd March but the neighbouring Salumeria will be open as a café and delicatessen offering daily pasta dishes and other specials as well as artisan Italian ingredients and fresh produce as normal. Bookings are now being taken for 3rd March onwards. Call 0113 2755017 or book online www.salvos.co.uk. Would be rude not too…. Whilst in Leeds treated No.2 Son to more Meat, classic Dead Hippie Burger (2x french’s mustard-fried beef patties, dead hippie sauce, lettuce, cheese, pickles, minced white onions), Wet Fries (Gravy Cheese Fries), deep fried Mac N Cheese with marinara sauce & even a Chicken Parma Burger (fried chicken fillet with Serrano ham, melted mozzarella, marinara sauce, dusted with Italian cheese).. Washed down with a Meantime London Lager! in Leeds ha. Gin is trendy! and with the explosion of micro distillers throughout the UK the choice and variety has never been so good. Here is our selection of Yorkshire Gins. Gin is a flavoured spirit using a cocktail of botanicals and every Gin producer uses their own secret recipe of botanicals to infuse the spirit. The classic flavours usually include juniper, angelica root and coriander. The 2 main methods of producing real gins are the classic London Dry Gin or the Distilled Gin process, if it is just GIN then it could just be a flavoured spirit…. Here is a selection of Yorkshire Gins as sold at The “Worlds leading retailer of Yorkshire Gin” Town End Farm Shop in Malhamdale, Yorkshire Dales. Masons Yorkshire Gin, distilled using the traditional London Dry Gin method in an Alembic copper still called Steve! in Bedale, North Yorkshire. The founding fathers of the Yorkshire Gin revolution, Karl & Catherine Mason. Best served: over ice with a slice of lemon or try with orange peel. W Slingsby of Harrogate is a London Dry Gin that uses 24 botanical flavours sourced from Yorkshire and across the globe, these include tea from Taylors of Harrogate & Herbs from the Rudding Park Estate. Some of these botanicals, green and jasmine tea, severn sea rosemary, silver posie thyme, citrus thyme, garden thyme, rhubarb, sage, lovage, chervil, nettle and sweet cicely, rose hip, angelica, cassia, orris roots, coriander, liquorice grapefruit and Madagascan juniper. Water from a Harrogate Aquifer. Best served: with tonic & garnish with a pink grapefruit twist and blueberries. Whittaker’s Yorkshire Gin, A small batch distilled London Dry Gin lovingly made in a Hill Billy Still called Jezebel near Dacre Banks, Nidderdale by Toby & Jane Whittaker. Botanicals include Thyme, Bog Myrtle, Juniper, Coriander, Bilberries, Angelica Root and Hawthorn. Best served: classic gin and tonic with ice and a slice and Fever Tree or Fentimans Tonic. Ginger Ninja gingery gin, The Lickerish Tooth, Skelton, North Yorkshire. The Lickerish Tooth make curious concoctions including Yorkshire vodka & gin. At first taste the juniper/angelica and liquorice flavours will hit you, followed by some of the secret botanicals, and finally, the warming taste of the ginger, which gives it a long, warm finish. Best served: fever tree tonic or try with lemonade. Sheeps Eye Gin, The Lickerish Tooth, Skelton, North Yorkshire. The Lickerish Tooth make curious concoctions including Yorkshire vodka & gin. Botanicals include Juniper, Coriander and Angelica, the ‘holy trinity’ of a gin, as the base, and they add 7 botanicals to complement and enhance the flavours. In among these is Liquorice root. Leeds Gin, made in the heart of the City in very small batches by Sara Birkinshaw. Botanicals include Yorkshire Forced Rhubarb. Sir Robin of Locksley, A distilled artisan gin from the Locksley Distilling Co in Sheffield. Due to its slight sweetness a true sipping gin. Botanicals include pink grapefruit, dandelion & elderflower. Tasting Notes: Sweet, Up-front juniper with more delicate aromas of elderflower bubbling through. Deliciously smooth and round on the palate – warm cassia notes soothed with dandelion. Pink grapefruit adds an underlying sweetness and lingering citrus finish. Balanced yet distinctively unique. If you know of any other Yorkshire Gins that we may have missed please let us know…. OK so first off what is Lamb? Lamb is the meat from a young sheep, less than 12 months old. Lamb is a delicate flavoured and tender meat. A Lamb over 12 months but less than 2 years is known as Hogget. Hogget is often regarded as the best tasting “Lamb” more flavour but not as strong as Mutton. Over 2 years old and Hogget would then be known as Mutton. The confusion regarding Mutton is then the difference between good mutton say between 2 & 3 years old and “an old ewe” or bad mutton that has been sent for cull at maybe 4 years old and could be as tough as old boots! probably only any good for a slow cooked curry! Macon – Mutton Bacon, cured mutton! A book all about Mutton – Much Ado about Mutton by Bob Kennard. Mutton once took pride of place on every dining table up and down the country. It was the nation’s favourite dish. It fed us all, from peasant to King. Whatever happened to it? Bob Kennard explains the decline of this delicious icon of British cookery. More importantly, he explains why mutton is now poised to make a come-back. Its extraordinary health and environmental benefits are at last being recognised, not to mention its superlative flavour. Based on the author’s experience of over 25 years of producing and extolling the virtues of mutton, together with advice from mutton enthusiasts down the centuries, you can learn what to look for when choosing your mutton. Breed of sheep producing mutton was considered very important by the Victorians, and there is a complete directory of breeds available in the UK, together with over 60 places to buy the meat, and a collection of 20 recipes showing the versitility of mutton, and how easy it is to produce a fantastic-tasting meal. The book is fully illustrated throughout with colour photographs and historic images. Why hogget and mutton are good for you – Joanna Blythman – The Guardian.